The Ahmed Al Fateh Mosque, also famous as the Grand Mosque, is easily the best things about my trip in Bahrain. It is gorgeously designed, modest and justly eye opening. The entry is free and gives one of the kindliest greetings I have ever had from a visitor attraction, let alone a place of worship. Next up is the Fort. Courting back to 2300 BC, and comprising remains right up until the 18th century, Bahrain Fort is an archaeological site, which has been mined gradually over the preceding 70 years. It has been elected a UNESCO World Heritage Site, and is now a protected area. Some parts are just ruins in the ground, but the most exciting part of it lies with the massive castle-like fort, which still stands strong. I want to stop here for a whole day, explore the fort in detail, but we are hungry and dinner is at a local place called Emmawash, where I hear scribbling on walls is allowed. Bahraini food is heavily meat-oriented but a meal is never complete without some lentils vegetables on the side. And of course we scribble on the walls after soon learning that it’s white-washed every year for more scribbling space! 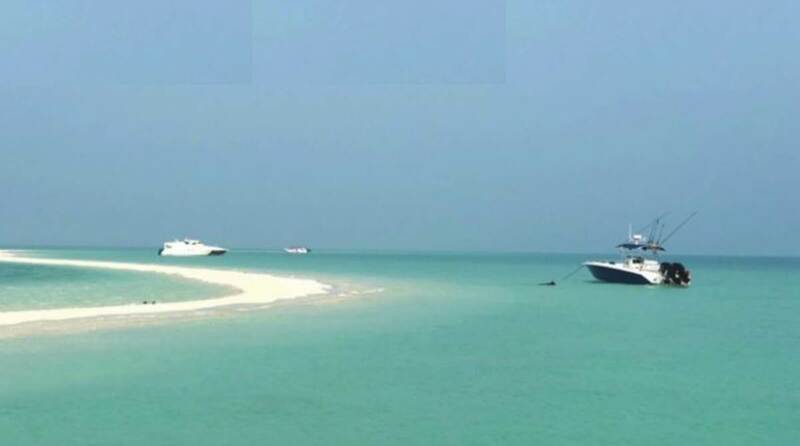 It is still morning when we leave the hotel after breakfast and head for the Amwaj Marina to hop on to a big white speed boat, passing through the stunning sea that connects to the Jarada Island. Jarada is, or should be, a big tourist attraction; it is a beautiful island that disappears post 6 p.m. owing to the high tide every evening. We have a whole lot of fun, dancing to music, making sand castles, dipping our feet in the sea and cooking our own BBQ. I try not to think of it much. I have to return to the concrete jungle, after all, and I fear I will fall in love with this island if I pay it too much attention. We are still discussing the island when our car brings us to back to the hotel. There is enough time for a quick round of shopping, so we head to Dragon City, an extremely well-organised mall full of Chinese goods. It is quite fascinating that this petite island country has so much going on in terms of chic world savours and yet, even with a huge expatriate population, succeeds to keep its old-style food culture. We order a few Set menus at Saffron by Jena which comes with Balaleet, which is sweetened vermicelli noodles topped with a savoury omelette, eggs and tomato, mashed kidney beans, potatoes, spiced baked beans and a basket of bread with khuboos and buns slathered with a sweet and spicy preserve. The complimentary chilled saffron drink is refreshing and acts like an appetite cleanser.